Lakewood, CO - COMING SOON! To add to its list of credits, Lakewood will also be home to a first-of-its-kind senior housing cooperative in the area—The Village Cooperative. Active adults 62+ will be able to retire and live a worry-free lifestyle in their community while enjoying more of what the city and surrounding areas have to offer. That’s because the Village Cooperative of Lakewood offers all the advantages of home ownership along with the benefits of no maintenance, great amenities, and the ability to stay close to family and friends all at an excellent value! 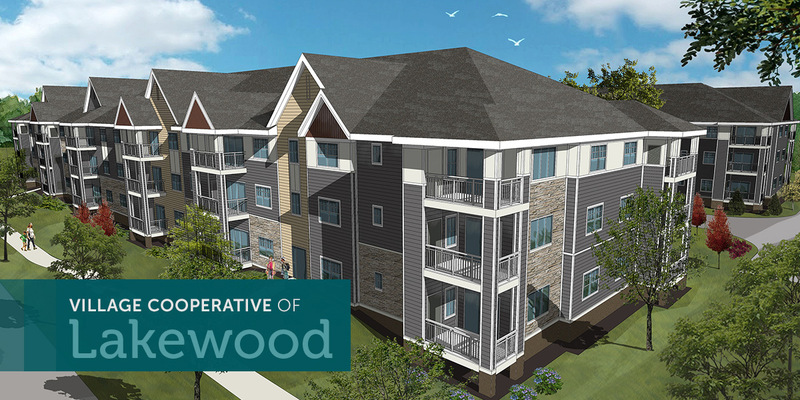 The new Village Cooperative of Lakewood will include over 60 spacious homes in one bedroom, two bedroom and two bedroom with den designs built specifically for active adults who want ownership and freedom to pursue their interests with none of the hassles. 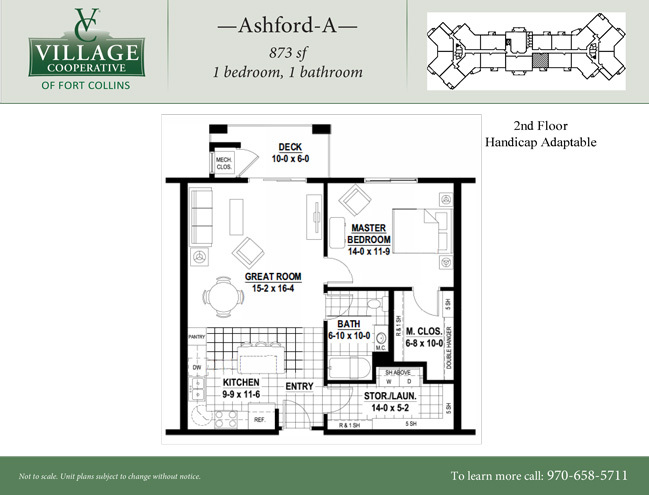 Our single-level homes will range in size from approximately 875 sq. ft. to over 1,600 sq. ft. within a three-story building built over secure underground parking. Standard features of this Village Cooperative community include a club room, reading areas, community area, woodworking shop/flex space, guest suite, garden plots, underground heated parking with a convenient car wash bay—all wrapped up in a fully secure building. The homes are equipped with all appliances including a private laundry room, plus in-home storage, walk-in closets and individually controlled HVAC systems. If living in a community of peers of similar age and independence sounds good—one that offers a sense of pride of ownership, control, social opportunities and fun—then you will find this to be an excellent option for you to call home! In addition to a carefree lifestyle, it offers many unique amenities that are suited for retirement-age residents, including “while-you’re-away” services that enable you to travel without worries back home. Call Erin today at 720-644-1188 or email lakewood@reedevelopment.com to learn more about this fantastic location – coming soon!